During its first four months of taking data, Advanced LIGO (Laser Interferometer Gravitational-wave Observatory) detected gravitational waves from two mergers of pairs of black holes, GW150914 and GW151226, along with the statistically less significant black hole merger candidate LVT151012. The first confirmed detection of gravitational waves occurred on September 14 2015 at 5.51 am Eastern Daylight Time by both of the twin LIGO detectors, located in Livingston, Louisiana, and Hanford, Washington, USA. It confirmed a major prediction of Albert Einstein’s 1915 general theory of relativity and opened an unprecedented new window onto the cosmos. 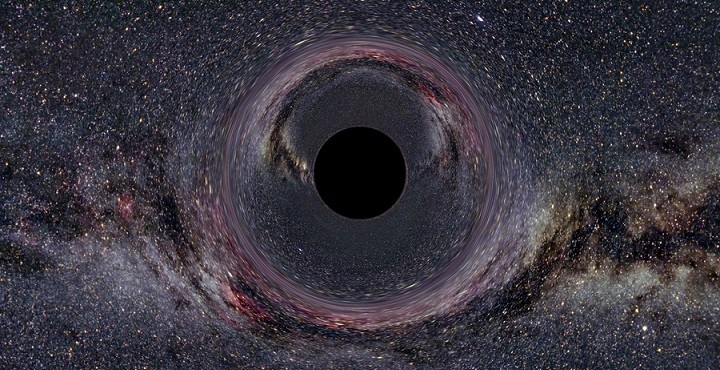 However, we still do not know how such pairs of merging black holes form. A new paper, published in Nature Communications, describes the results of an investigation into the formation of gravitational-wave sources with a newly developed toolkit named COMPAS (Compact Object Mergers: Population Astrophysics and Statistics). In order for the black holes to merge within the age of the Universe by emitting gravitational waves, they must start out very close together by astronomical standards, no more than about a fifth of the distance between the Earth and the Sun. However, massive stars, which are the progenitors of the black holes that LIGO has observed, expand to be much larger than this in the course of their evolution. The key challenge, then, is how to fit such large stars within a very small orbit. Several possible scenarios have been proposed to address this. The Birmingham astrophysicists, joined by collaborator Professor Selma de Mink from the University of Amsterdam, have shown that all three observed events can be formed via the same formation channel: isolated binary evolution via a common-envelope phase. In this channel, two massive progenitor stars start out at quite wide separations. The stars interact as they expand, engaging in several episodes of mass transfer. The latest of these is typically a common envelope – a very rapid, dynamically unstable mass transfer that envelops both stellar cores in a dense cloud of hydrogen gas. Ejecting this gas from the system takes energy away from the orbit. This brings the two stars sufficiently close together for gravitational-wave emission to be efficient, right at the time when they are small enough that such closeness will no longer put them into contact. The whole process takes a few million years to form two black holes, with a possible subsequent delay of billions of years before the black holes merge and form a single black hole. The simulations have also helped the team to understand the typical properties of the stars that can go on to form such pairs of merging black holes and the environments where this can happen. For example, the team concluded that a merger of two black holes with significantly unequal masses would be a strong indication that the stars formed almost entirely from hydrogen and helium, with other elements contributing fewer than 0.1% of stellar matter (for comparison, this fraction is about 2% in the Sun). Can this be imagined that actually there is a third star being formed in between both the stars from which hydrogen is coming out in form of envelops. Thus gradually and slowly both the stars would be reducing in energy and the middle one would be getting bigger. Then there would have been three simultaneous black holes. Can this be true or is it only two at a time?